One of the biggest benefits of open source programming is the ability to work with other talented developers that you may never meet in person. Being able to see what solutions other folks have already found can spark an idea that you or your team may not have thought of before. When faced with a transition to a whole new platform as many people were earlier this year, building on the solutions the community has already found can save you an invaluable amount of time. It was this situation that our featured community member, Dave Goerlich, found himself in several months ago. He, along with the rest of his team at The Refinery, found a straightforward solution with the SparkPost Rails gem, originally built by Kevin Kimball. They’ve since built on top of the repo, adding enhancements based on their needs, as well as the needs of the community. In addition to his Github contributions, Dave has become an active member of our community Slack channel, proving to be a true team player, one of the key tenants of being an open source programmer. How long have you been a developer, and what got you started in the tech world? Influenced by my father’s technology-based career, programming was a regular hobby of mine from then until my junior year of high school when I enrolled in a beginning programming class. Noting that programming came easily for me, my teacher, Mr. Lyons, asked me if I’d ever considered software development as a major in college, and as a career path. I had never viewed programming as something that could be a job I could get paid to do. That one simple question started me down this amazing trail. What led you to contribute to open source projects? What are some of the issues (pro or con) you’ve run into when contributing to open source work? Open source projects are the foundation of Ruby development. My projects couldn’t be successful without the great contributions by many other developers. When I have the opportunity to give back to the community, I’m excited to be able to contribute. Probably one of the biggest issues in contributing to open source as the maintainer of Ruby gems is having vision for the gem that exceeds my team’s available time to invest into those projects. It can be frustrating, but it does open the door for other developers to add their contributions to our gem. Over the years, I’ve written software in many languages and leveraged many frameworks. By far, Ruby has been my most favorite. It is a very elegant language, with an amazing open source community around it. Of all the languages I’ve worked in, Ruby has been the one I’ve fought with the least to accomplish my goals, and the first one in which I truly enjoy working in it. I am Co-CEO of The Refinery, and as the company has grown my responsibilities have changed considerably. I don’t get to write code for our clients nearly as much as I once did, but I do still enjoy working on internal projects such as the SparkPost Rails gem. Most of my coding comes as part of my side business, GreenBarHQ, an online event management and registration platform. It’s a family business with my father and brother, where I do get to handle all the software development. How do you use email in your apps/projects? For GreenBarHQ, and our client projects at The Refinery, our email usage is almost exclusively transactional. How did you find SparkPost, and what led you to contribute to the SparkPost Rails gem? As I’m sure with many, we found Sparkpost in our search for a replacement for Mandrill. We adopted the SparkPost Rails gem from Kevin Kimball, who had originally built a very basic version as part of a hackathon. His basic architecture of simply providing an ActionMailer delivery handler was exactly the fit we needed to make our transition from Mandrill easy. Our work on the gem, and the enhancements in functionality from Kevin’s original start were mostly driven by our implementation needs. I am an Eagle Scout, and still actively involved with our local BSA council. GreenBarHQ is originally built as an online management tool for Boy Scout summer camps, and I enjoy being able to give back to Scouting along with my father and brother in that way as well. Recreationally, I play volleyball – leagues and tournaments – pretty much year round. I play indoor all winter, and through the summer I play beach as there are a number of venues here in the Cleveland area with great sand courts. Thanks again for all of your contributions, Dave! 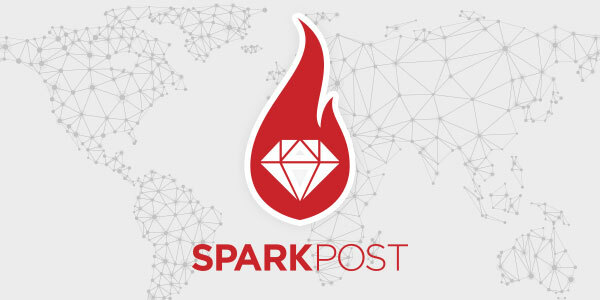 We appreciate everything you’ve done to better our community and the SparkPost Rails gem!